Inside Higher Education published a recent study from the National Student Clearinghouse Research Center showing that 37.2% of college students transfer schools at least once in a six-year period. Oftentimes, certain situations call for relocating to another city or state. Sometimes, it can just be a student’s own preference. For medical students, relocating to another school might be a bit more challenging. 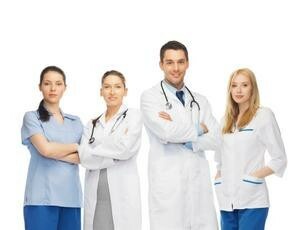 US News reported that it could be difficult to transfer to medical schools. Students who are aspiring to pursue a rewarding career in the medical industry might want to rethink their options. Those who want to continue their education in the medical field should consider Florida National University (FNU) as their transfer school. FNU is located in South Florida. We accept most course credits, if not all, from accredited universities. Although the type of credit courses that are transferrable need to be assessed by an FNU counselor on a case-by-case basis. FNU offers a broad curriculum of medical courses in certificates, associates and bachelor’s degrees as well a masters in Nursing and RN to MSN. Students who prefer not to spend a great deal of time in school might want to consider one of our diploma, certificate, or associate programs. The diploma and certificate programs can sometimes take less than twelve months to earn while associate’s degrees typically take approximately two years to complete. To view FNU’s academic calendar so that you can schedule the ideal time to start your classes or attend orientation, click here. Depending on where you live, commuting can be easy or time consuming. Sometimes, the proximity of a school can make a significant influence on determining which college to attend. FNU doesn’t want you to miss out on the opportunity to earn a quality education. Our university has four campus locations in the Miami and Hialeah. We’re also close to major highways to provide an easier commute. We also offer online programs that students can take advantage of. With our bachelors and master’s program, students can complete these courses 100% online. With this option, students can earn a college degree in the convenience of their own home. Certificate and diploma programs are not available to be taken online. However, one could certainly plan to visit the Miami area for a short period of time while earning his or her medical diploma or certificate. FNU encourages all students to apply for financial assistance. Students who have already filled out the Free Application For Student Aid (FAFSA) form for the academic semester may have to complete another one when applying to FNU. Our university can also assist you in applying for Pell Grants, Federal Work-Study programs, state scholarships, Direct and Plus Loans, Perkins Loan and more. As an FNU student, you’ll also be eligible to apply to other types of financial aid that our university offers. While federal loans require you to pay back what you’ve borrowed with interest, FNU also offers grants and scholarship opportunities to award to students enrolled in certain programs. FNU Nursing students are eligible to apply for The Medical Professional Scholarship at Florida National University, the FNU Academic Scholarship and more. To view a full list of grants and scholarships that FNU offers, visit the FNU Scholarship Opportunities page here. FNU has been educating the South Florida community since 1989. Originally known as Florida National University, our institution officially became Florida National University upon offering masters level courses. Some of our campuses offer the convenience of a reception area, cafeteria, and child-care facility. We have state-of-the-art dental, medical, X-ray and computer labs to help equip you for a more hands-on learning experience. Our campuses also provide lighted parking and accessibility for the disabled. Make the Change to FNU! FNU’s goal is to offer an exemplary education to students who are looking for an opportunity to enlighten their academic skills. We are dedicated to equipping you with the knowledge and skills needed to become an excellent student and an outstanding graduate fully prepared to seamlessly enter the professional workforce as an experience medical professional. Our BSN and MSN programs also require a certain amount of clinical hours, so you will have another opportunity for hands-on experience to work in almost any professional medical setting. If you are interested in transferring to FNU, contact our admissions department at a campus near you today. Our knowledgeable counselors will assess your current transcript to determine if your credits are transferrable. To continue your academic career in the medical field, contact us online to schedule an appointment to plan how soon you can enroll in one of FNU medical programs today. You can even start the admission process now! 4425 W. Jose Regueiro (20th) Ave.
Florida National University is committed to ensuring that its website is accessible to all visitors. Accordingly, FNU’s website has been developed using the principles and guidelines found in Section 508 of the Rehabilitation Act of 1973, and in accordance with WCAG 2.0 AA standards. Should you encounter an issue using FNU’s website, please contact Sandra Lomena at 305-821-3333 Ext. 1067 for further assistance or to report a problem.